Welcome to the Poppins Book Nook - a monthly online book club for kids from preschool to high school! The theme for this month's Poppins Book Club is wizards! Whether it's Merlin, Dumbledore or Morgan LeFay, there are some much loved wizards in children's literature. Since our goal for the book club is to introduce books that connect with fun activities, we started by hunting down some great stories! I'm also including affiliate links for each of the books so you can learn more about them. The Magic Tree House #32: Winter of the Ice Wizard and The Dragon of Doom (Moongobble and Me) are both easier reads with short chapters and just enough adventure (without all the death and destruction found in some of the more advanced chapter books). In fact, we learned a new word while reading the books -- many wizards practiced Alchemy which is an ancient form of chemistry. Since all wizards seem to have a good knowledge of spells and potions, we thought it would be fun to be a Alchemist and create our own wizard lab! First, we found a few fun ingredients to mix up, along with some great science equipments that we saw in the books we were reading. We also tracked down a few 'recipes' from our science books so we could create some potions of our own. We decided to experiment with what wizards would use to conjure up some cool tricks and also make 'Monster Goo' (also called goop)! For a fun goop recipe, visit our friends at Growing a Jeweled Rose! And I know what you're thinking -- "Where did you find those cool science items?!!" A wizard's lab isn't complete unless you have things to mix in and Plastic Beakers (which have measurements on the side) + Plastic Test Tubes with Screw Caps (so nothing breaks during the experiments) = AWESOME fun! While we did discuss some of the science behind mixing various elements, I really just allowed her to try a few different 'concoctions' and look at what happened to the various solutions and mixes. It's great to have a piece of paper and pencil with you to record which items you are mixing along with their reactions. For even more fun, kids can come up with some magic words (Alacazam is pretty popular) during their mixing of potions. Also, label your ingredients with cool wizard words -- baking soda can be 'dragon powder', peroxide can be called 'witches brew' and corn starch would be a fun 'fairy dust' to mix. 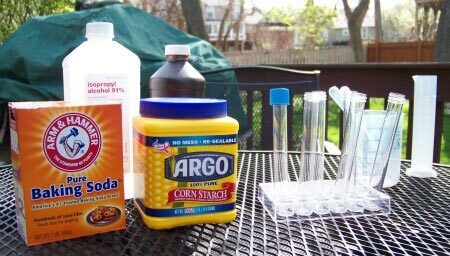 I'm sure you know that mixing baking soda and vinegar will create a very big foamy reaction which can be really fun for a wizards lab. 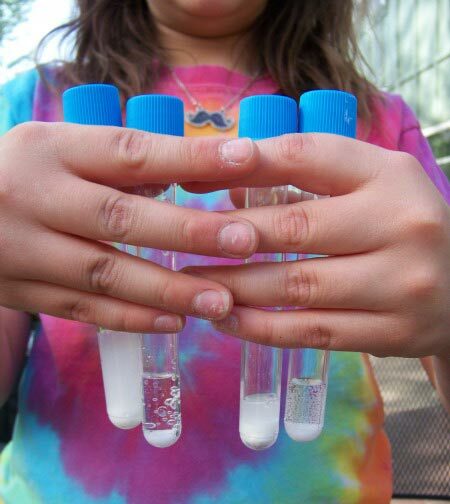 As you can see from our test tube photo, we had some very bubbly mixes that occurred during our lab. If you'd like to set up your own wizard lab and try some alchemy, kid-sized test tubes and kits such as Lab-in-a-Bag Test Tubes for Kids can be found online or at local hobby stores. 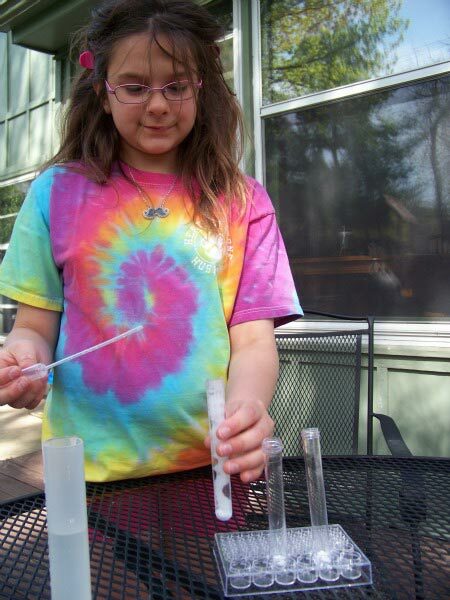 For additional science activities the kids will enjoy, try these 27 Simple Science Experiments! Enjoy some AWESOME wizard activiites & crafts from the Poppins Book Nook bloggers! And we invite you to read and have fun with us so link up your wizard book/activity post this month too! What a fun project! We love science in our house, so this will be a great thing to try! Very cool project! My kids would enjoy this, too! Great project! I always think test tubes make it so much cooler somehow. Looks like a lot of fun! We love sience magic here too! What fun! I love how you turned the baking soda into dragon powder.